• Tender coconut, floral aromas, apple, fermented fruit cider. • Florals, touch tepache fermented, touches of cooked mezcal. • Maguey flavor, dry sensation to the palate. 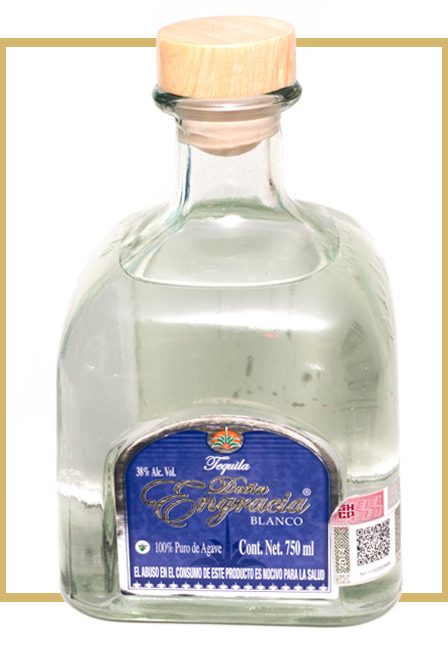 Silver Tequila is the where you can taste the true flavor of the house, Doña Engracia. 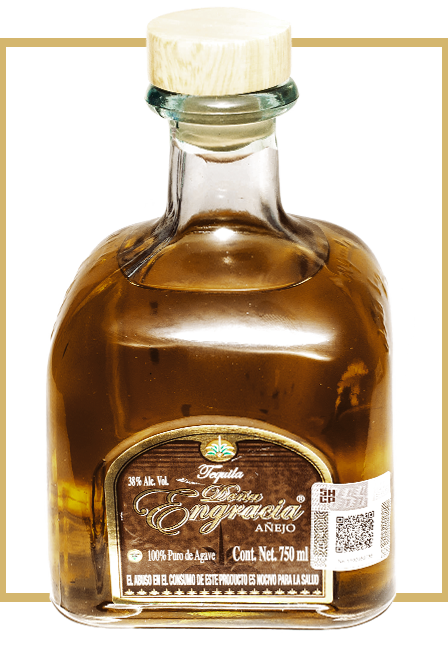 In this white you will find fruity and floral notes very present to the smell as well as sweet touches of cooked mezcal. • Crystalline golden color with long and thin legs until reaching its source, aroma of fresh wood like pine and pine bark, ocote. • Woody, woody flavor with rich toast, roasted flavor, rich sweet and wet soil. • Light Aroma, wood, flavor like when chewing wood. • Light citrus toast to grapefruit, hazards, touches of leather. • Honey, toasted and vanilla tones, oak tones and earthy adobe flavors. 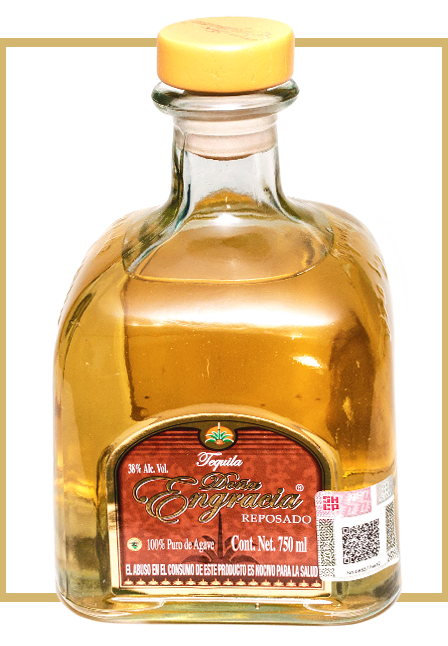 • Opaque golden color, barrel used with sweet scents, creamy, buttery flavor and softer than previous ones. • Taste caramel, bitter chocolate, smoked wood, smooth enmiaelado, agavera plant and barrel taste, rich roasted flavor, relaxing softness. • Rye grain tones, soft wood, sweet and honey-like aromas, soft to the palate sweet tones and woody tones of mahogany. © 2017 Hacienda Doña Engracia. All Rights Reserved.